We clean carpet, upholstery, tile and grout, hardwood floors, offices and more. Our guarantee is simple. We want you to be happy with the service experience we provide. If you are not completely satisfied, we'll come back to make things right at no extra cost. If you are dissatisfied, we'll offer a complete refund. Precision Carpet Cleaning and Janitorial carries insurance covering a broad range of protection. Coverages include General Liability, Automobile Liability, and Workmen’s Compensation. Proof of coverage is available upon request. Please note that we are certified by IICRC, our industry’s standard for technical training. We use the industry’s highest quality equipment so your job is done right the first time! 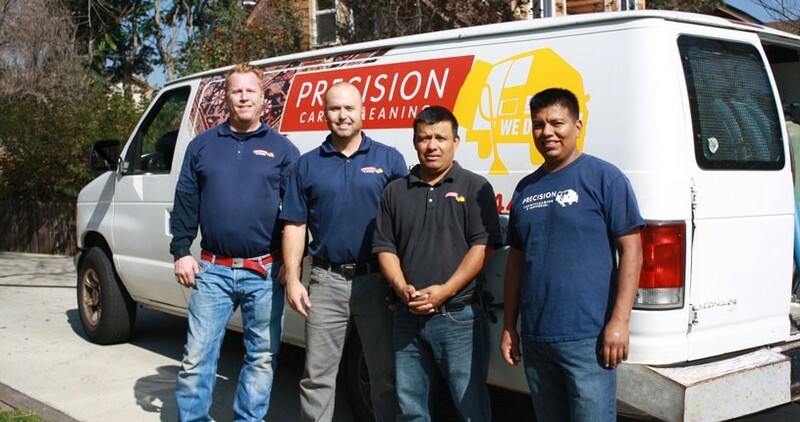 With over 40 years of combined experience Precision Carpet Cleaning and Janitorial goes beyond customer satisfaction by giving every customer a positively memorable experience. We’re trained, professional, and proficient.